The UK Pool & Spa Expo will run in Hall 10 of the NEC, Birmingham from Thursday 22nd January for 3 days of networking and building new business relationships. The doors will be open from 10am to welcome national and international trade visitors who will be able to meet over 100 exhibitors showcasing their new product lines, best sellers and most competitive pricing structures. The next two days will be filled with technical seminars, a new product zone entry way display, networking opportunities for visitors and exhibitors alike, on the stands, in the central hub and in the evenings at both the onsite drinks party and on the second night, the prestigiousPool & Spa Awards Ceremony! 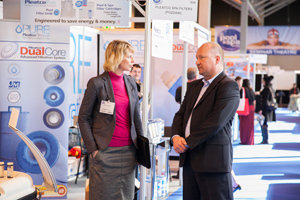 On the third day the event will offer a mix of trade and consumer visitors, and with non trade magazines and prime time TV documentaries telling that the market is still very much alive and growing UK Pool & Spa Expo will be the place for the consumers to see the best of the industry, with products from around the world and a host of new launches. The 2015 event will be brought to the customer by a sterling team made up of expert experience with new and exciting ideas! The organisers have organised exhibitions around the world and look forward to new challenges and opportunities to improve on what they do. The NEC Birmingham is an ideal choice to attract as many visitors as possible, with parties, bars and hotels all onsite. 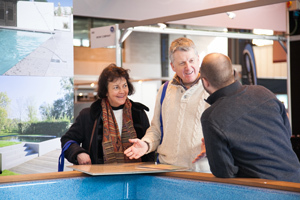 The location and venue also make the arrangements for international visitors and exhibitors much more accessible. From its conception UK Pool & Spa Expo wanted to open the UK wet leisure industry to the world, offering an independent and professional event for global buyers and companies to develop relationships. In 2014 visitors came from over 49 countries from every continent making up almost 20% of the visitor list. With FREE WIFI, FREE CAR PARKING, networking and a wide range of pools and spas in one setting– UK Pool & Spa Expo is a place for companies to do business.